Learner drivers often face crippling additional premiums when being added to a parents, family or friends car insurance policy, this also puts the policyholder at risk of losing their no claims bonus in the event of an accident. Cover can be taken out on a month-by-month basis, so learners only pay for the cover they need before passing their test. Fully comprehensive learner driver insurance for vehicles up to insurance group 45, valued for less than £30,000. 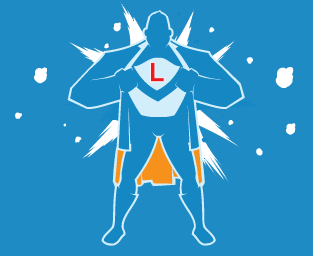 The learner driver can insure their own car, even on short period policies. 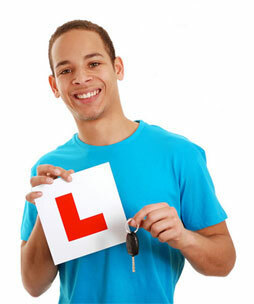 If you are a Driving Instructor you can help your pupils find a great insurance deal. Learning to Drive? - Click to see our helpful tips and advice for anyone new to driving. Extra practice outside of driving instructor lessons can make a huge difference to the amount of lessons needed before a learner driver passes their test, dramatically reducing the cost of driving lessons, so it makes sense to practice with a friend or family member. However many struggle to get provisional licence car insurance at a low cost when being added to a policy as a named driver, as this also puts the named driver at risk of losing the vehicle owner's no claims bonus. Adrian Flux offers car insurance for learner drivers aged between 17 and 25 from just 85p per day, a cost-effective way for young learner drivers to get that all-important extra practice behind the wheel. Rather than including a learner driver on a parents, family or friends car insurance, we provide a separate fully comprehensive insurance policy, at an affordable rate, that pays out in the event of a claim and protects the owner's no claims bonus. Our learner driver car insurance policies can be taken out on a month-by-month basis, so learners only pay for the cover they need before passing their test. If the learner driver is a car owner, or wants to drive their parents or friends car, cover can be taken out for both long or short term. Policy lengths available of 1, 2, 3, 6 or 12 months. The cover must be comprehensive and for vehicles up to insurance group 45 valued at no more than £30,000. On a 12 month policy, comprehensive policy is available. Policy holders must have a UK provisional licence and the accompanying driver must be over 25, with a valid UK driving licence which they have held for at least three years. Cover automatically stops when the policyholder passes their driving test. All postcodes in the UK are eligible, split into just two rating areas, with premiums starting at £50 for one month's cover. Any claim will be settled on the learner driver's insurance policy, and will not affect the no claims bonus of the vehicle owner's insurance. If you want to drive both of your parents vehicles you can get a 50% discount on the second policy. As well as offering our learner driver insurance policies, we have also made it possible for 16 year olds to get quotes for car insurance. While in the past it's been difficult to get a quote from some insurers before your 17th birthday, Adrian Flux can quote you a premium and arrange a policy that begins the second you turn 17 - letting you hit the road as soon as you're ready. We can even put your car on cover for accidental damage, fire and theft before your 17th birthday, adding road cover on the big day itself and giving your parents cover to drive the car in the meantime. Our 16 year old insurance works well for parents too, letting you get a quote for adding your teenager onto your policy before they're old enough, so you can give them the gift of driving for their 17th birthday. For more information on getting a quote for provisional insurance for 16 year olds, click the 'get a quote' button now. Harry Dodds, 17, from Norfolk, was the first to take out the learner driver cover. He is learning to drive in his father, Clive's, VW Passat, and has taken out a three month policy costing £175, a saving of £750 on an annual basis if he had simply been added to his father's policy. The Passat is currently insured with Adrian Flux at an annual premium of £450, but adding Harry as a named driver would push this up to £1,800. 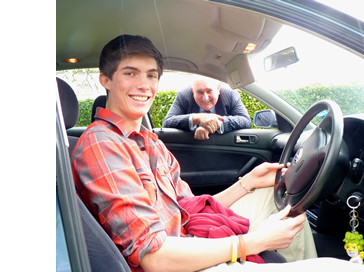 "This policy is an absolute no-brainer for learner drivers," said Mr Dodds senior. "It's a win-win situation - it's saving us a small fortune in premiums and if Harry were to have a minor bump then my no claims bonus is unaffected." And Harry added: "It will enable me to get in some valuable extra practice and hopefully I'll be able to pass my test sooner, saving more money on lessons and insurance in the meantime. It's the perfect policy for me at the moment." 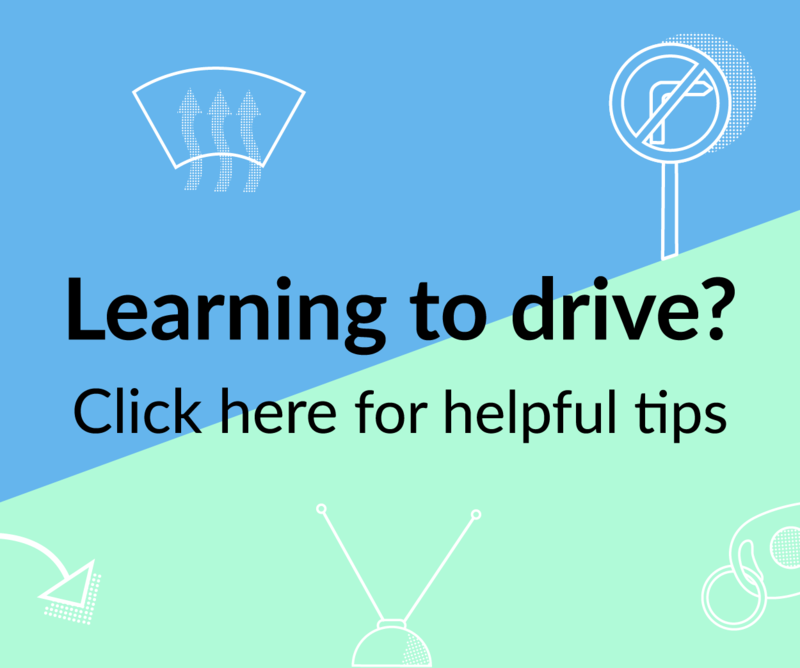 Because extra practice between lessons has been shown to benefit learners, we've put together some learner driver Tips to Help You Pass Your Driving Test, including video guides to common manoeuvres, such as How to Parallel Park and to help you understand the cost of insurance for young drivers, How Much Is Car Insurance for a 17 Year Old? © Adrian Flux Insurance Services 2018. All rights reserved. Adrian Flux is authorised and regulated by the Financial Conduct Authority (FCA) registration number 307071. You can write to us at Adrian Flux Insurance Services, East Winch Hall, East Winch, King's Lynn, Norfolk, PE32 1HN.